Llera Dental (Ft Lauderdale) - Book Appointment Online! We are committed to providing excellent patient care while maintaining services that are above the standard of care. We look forward to assisting you with your dental needs. Our comfortable and modern dental office offers the newest technologies, such as digital x-rays, intra-oral cameras and chair- side computers, to provide you personalized state-of- the- art dental care. It is our mission to listen to your dental needs and design a treatment plan that fits your expectations and dental budget and to make your experience in our office a pleasant one. You will realize that our team really cares about our patients and will work with you to resolve your dental needs. A healthy smile builds confidence and improves your overall health. With our experienced caring dental team and your compliance, we can achieve both. I just moved from South Jersey to Fort Lauderdale. My first visit was awesome. Front desk ladies are so nice. The office is very modern with the latest technology equipment. Dr Antonio Llera is professional with a nice personality. He answered all my questions. 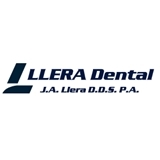 I highly recommend Llera Dental. I already refer a co-worker when I got into work today.